Everything Attachments brand 50" Wicked Compact Root & Debris Grapple. 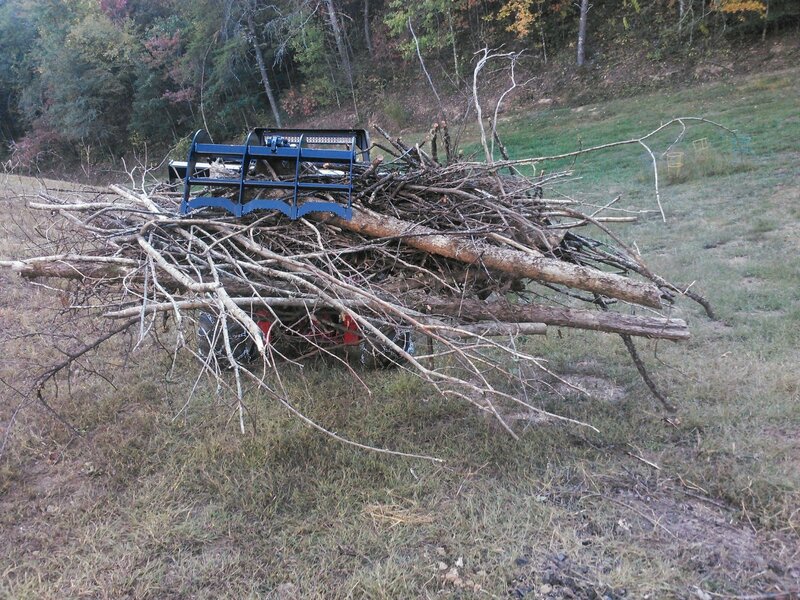 In addition to moving brush, the arched reinforcements between the "fangs" on the grapple lid are serrated to grab the end of tree trunks and pull them out of the woods, without using a chain or cable. The bottom "teeth" are reinforced and serrated to grab and cut/break roots. The round reinforcement bar on the teeth acts as a "depth gauge" so you can dig though the soil 5" deep, tearing out the roots of vines, brambles, etc.